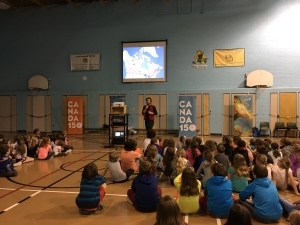 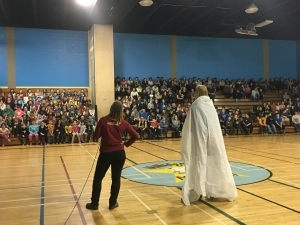 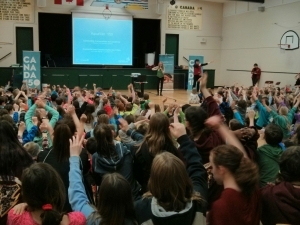 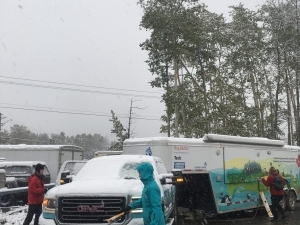 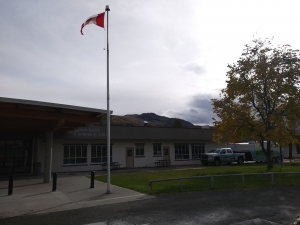 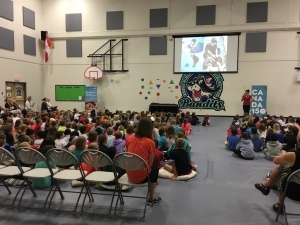 Chetwynd - our fist snowy day of this school year! 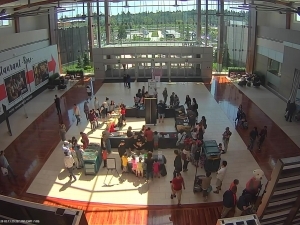 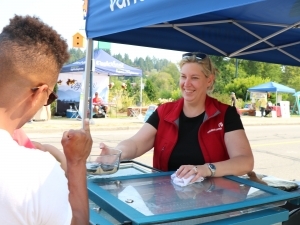 Touch a Truck in Abbotsford! 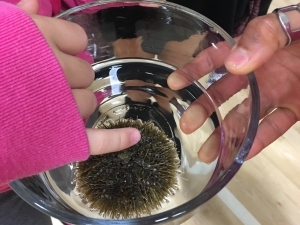 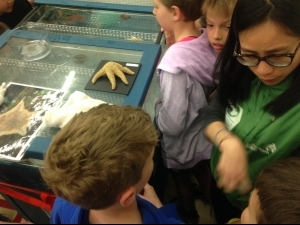 First time to touch a sea cucumber! 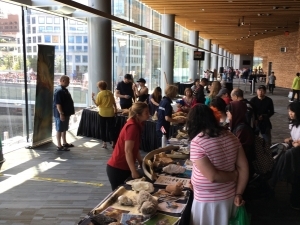 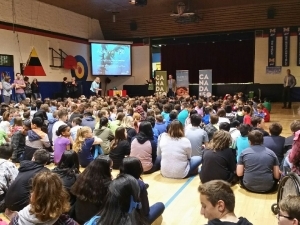 MMR Celebration, Vancouver. 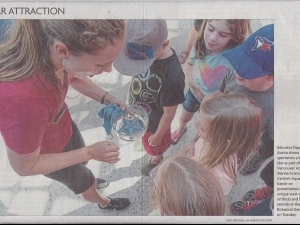 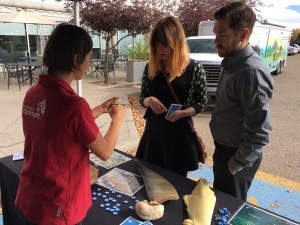 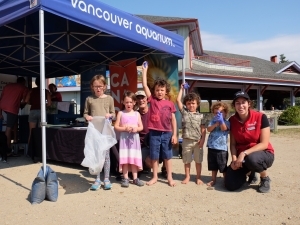 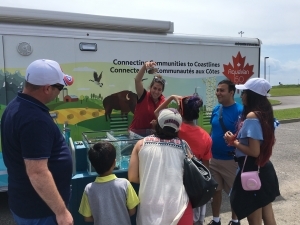 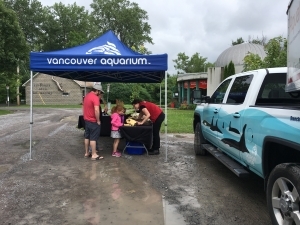 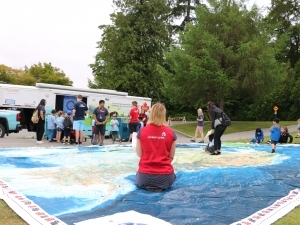 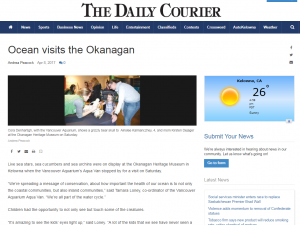 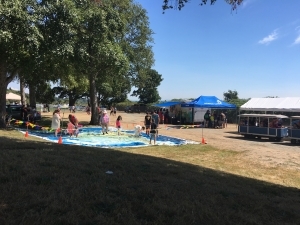 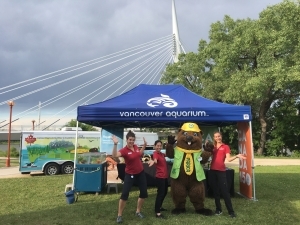 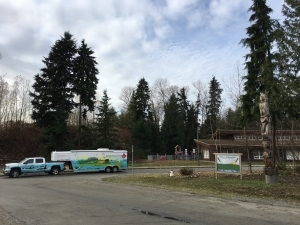 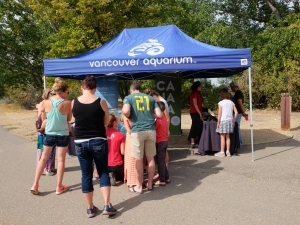 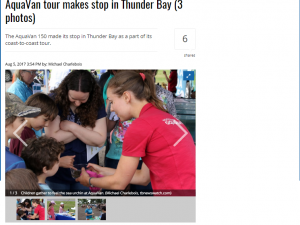 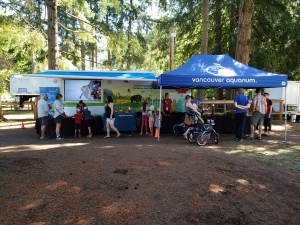 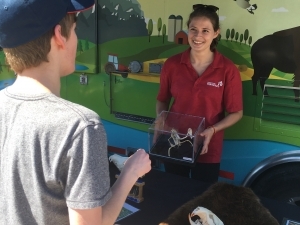 AquaVan visits Larry Berg Flight Path Park for YVR "Chill Out Day"
AquaVan fun with AquaCampers and the map! 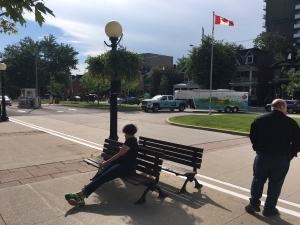 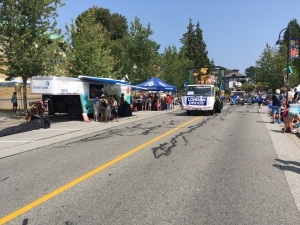 AquaVan - front row seats for the parade in Gibsons! 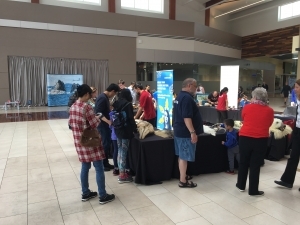 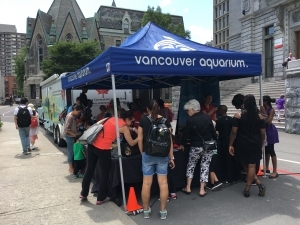 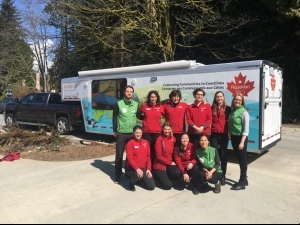 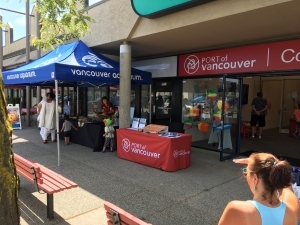 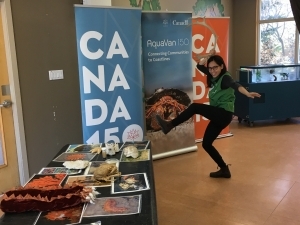 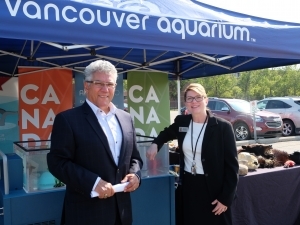 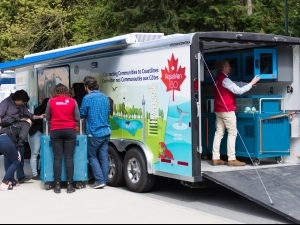 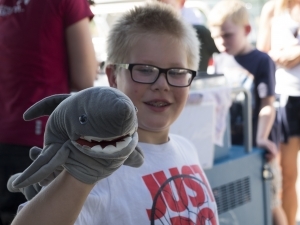 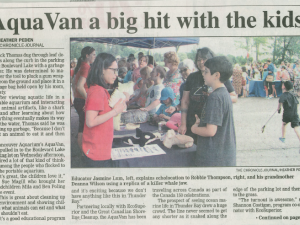 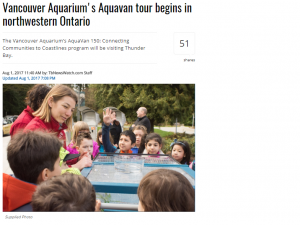 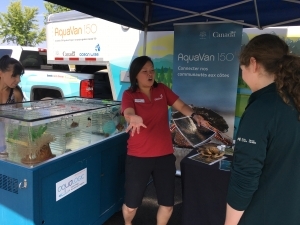 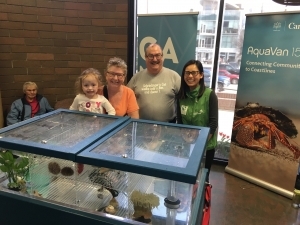 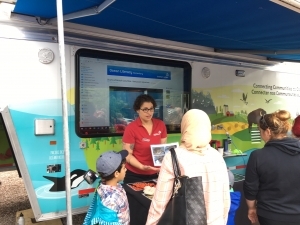 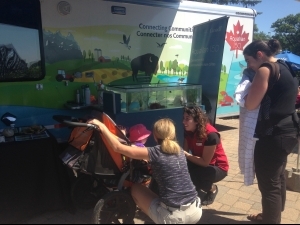 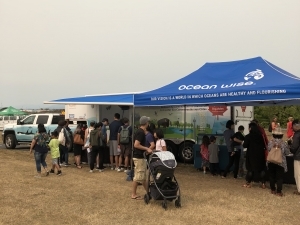 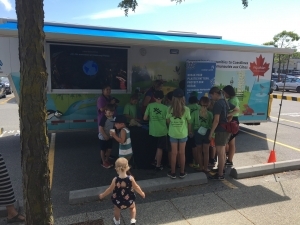 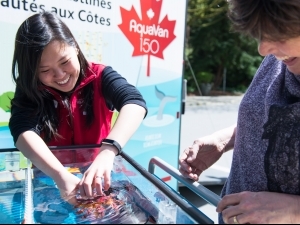 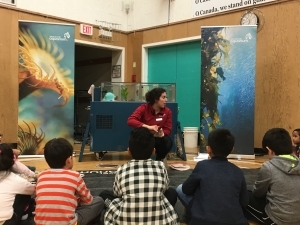 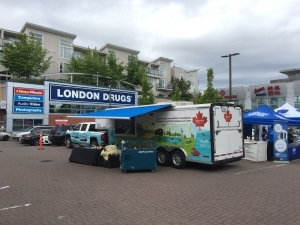 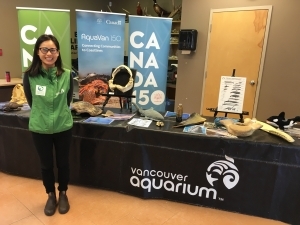 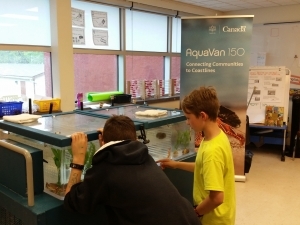 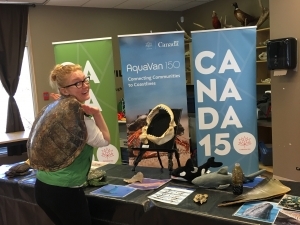 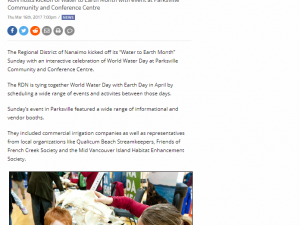 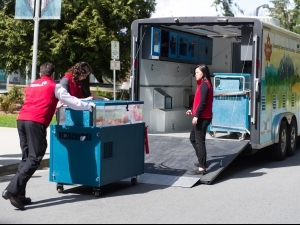 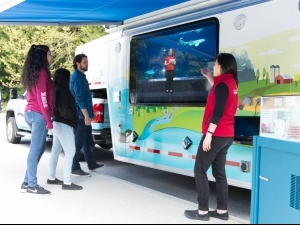 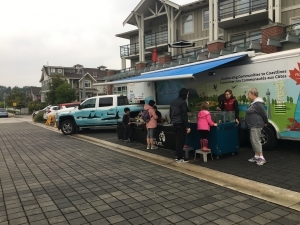 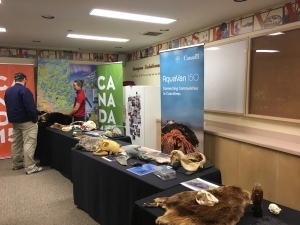 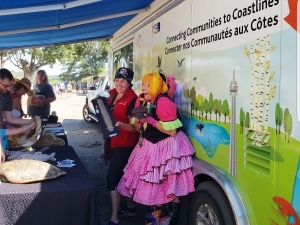 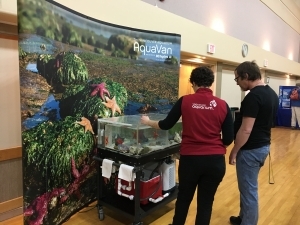 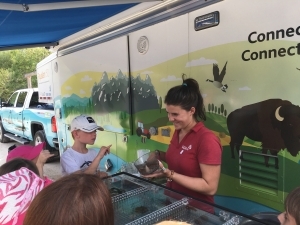 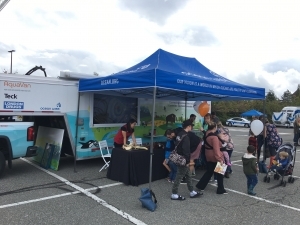 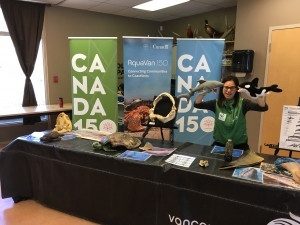 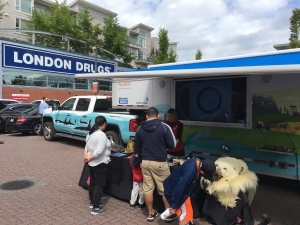 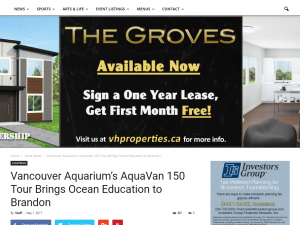 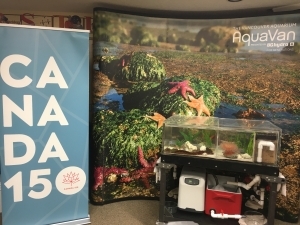 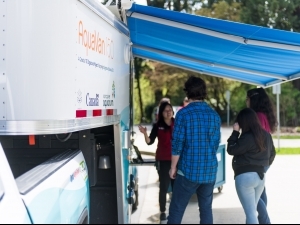 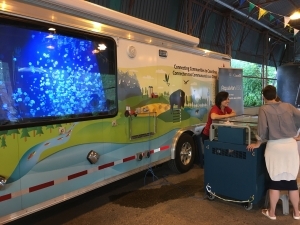 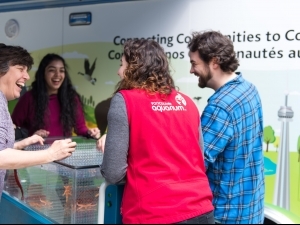 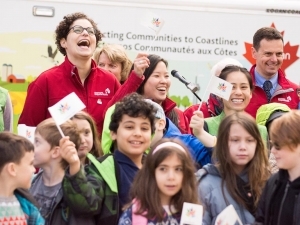 AquaVan visits Port of Vancouver Delta Community office. 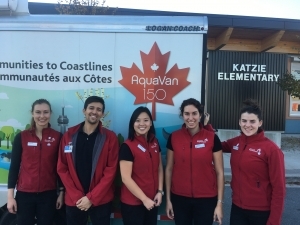 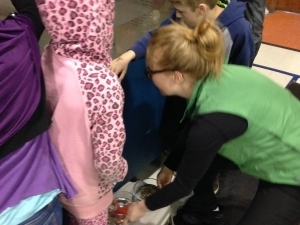 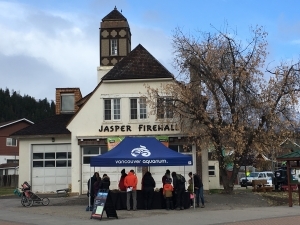 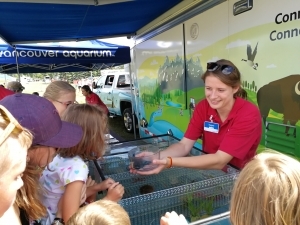 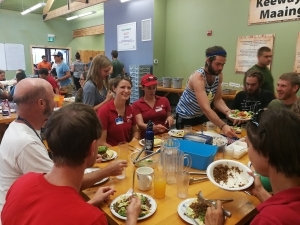 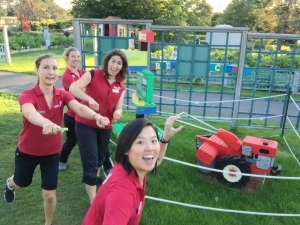 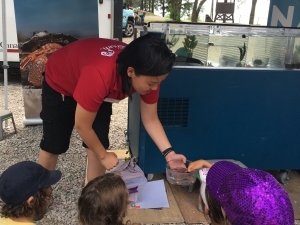 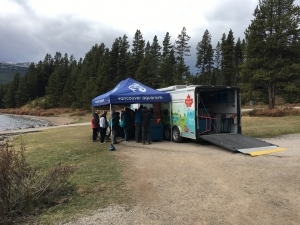 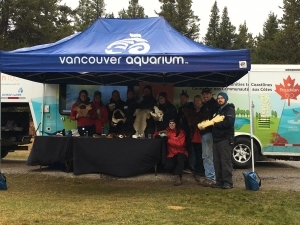 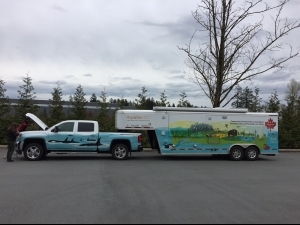 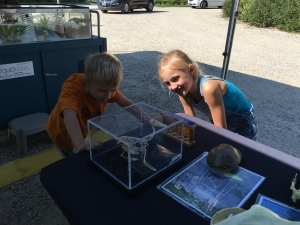 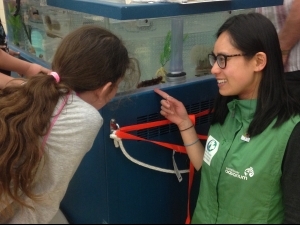 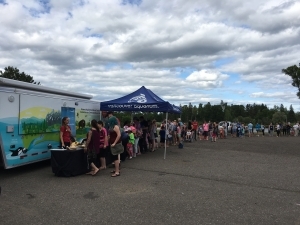 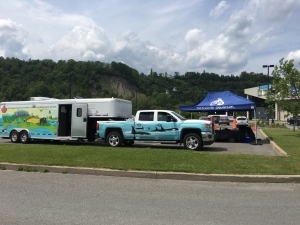 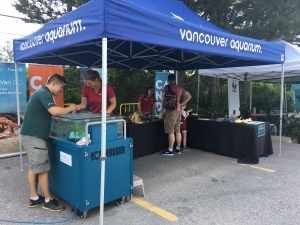 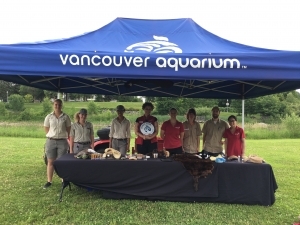 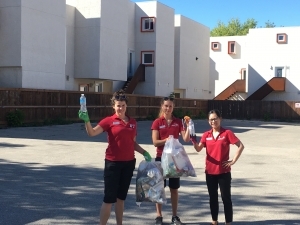 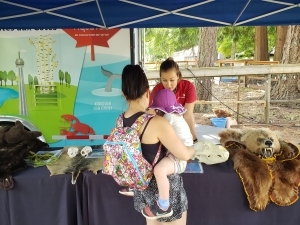 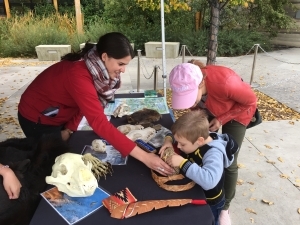 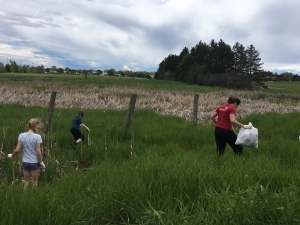 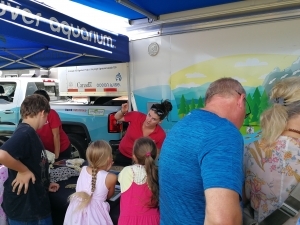 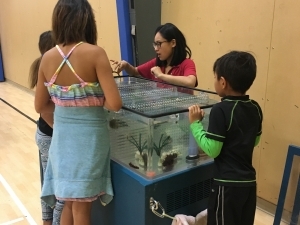 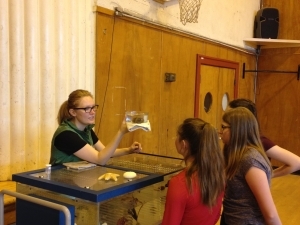 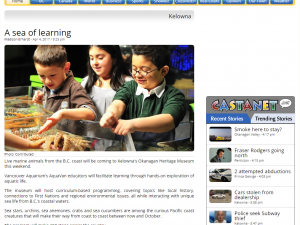 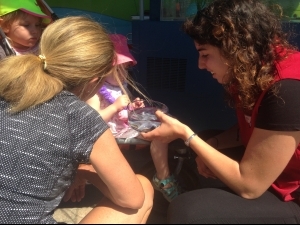 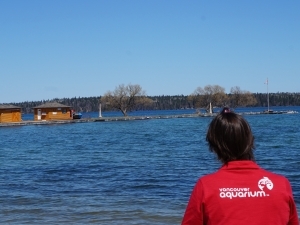 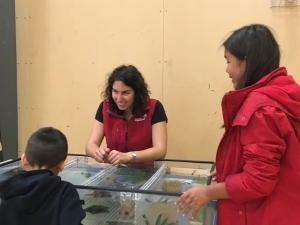 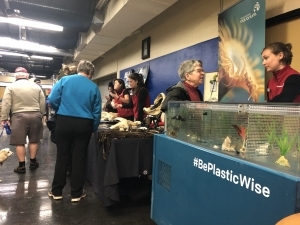 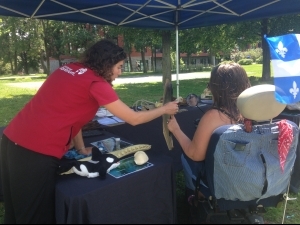 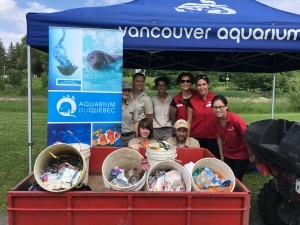 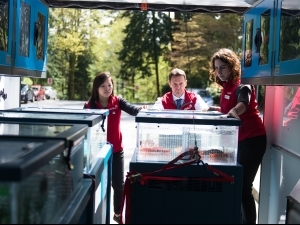 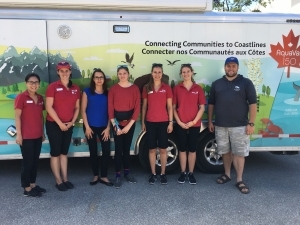 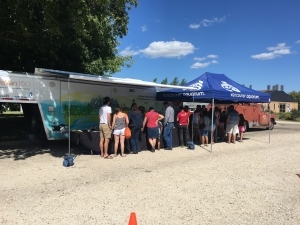 Thanks to the volunteer educators who came to help the AquaVan team at Tsawassen Mills! 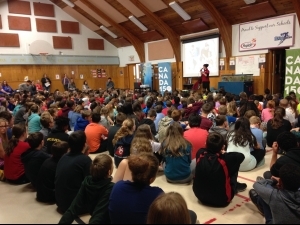 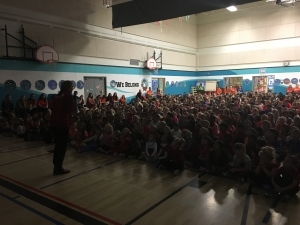 Old Yale Road Elementary anti bullying day! 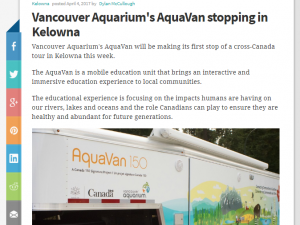 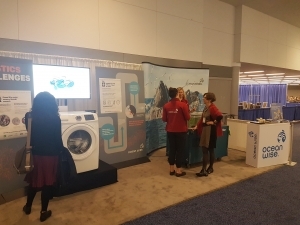 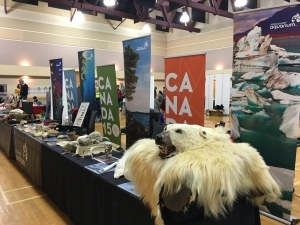 AquaVan - Let's Talk Arctic! 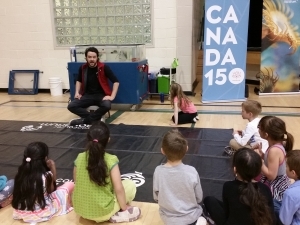 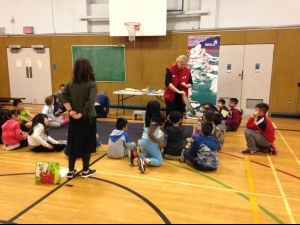 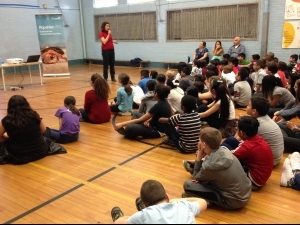 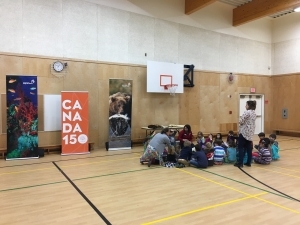 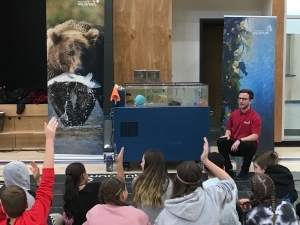 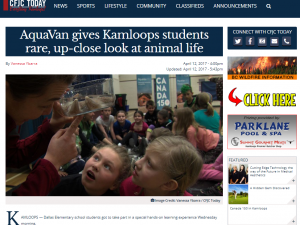 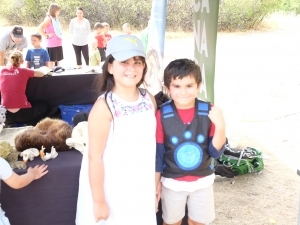 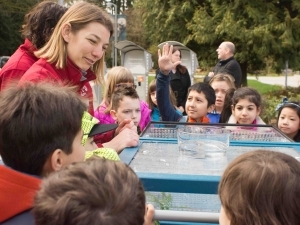 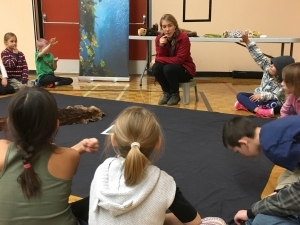 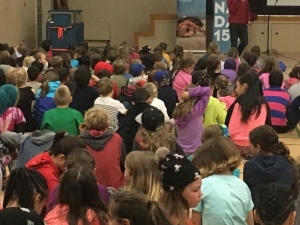 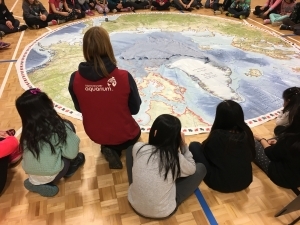 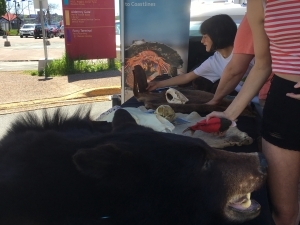 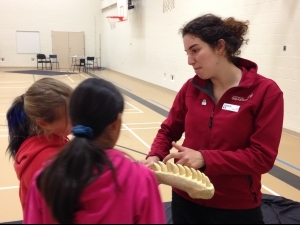 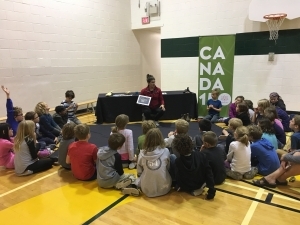 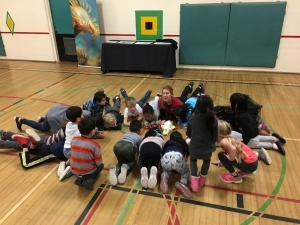 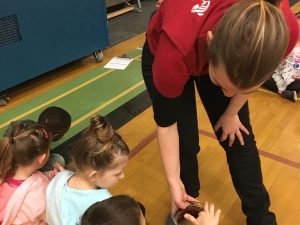 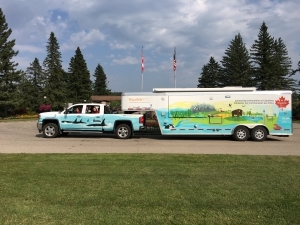 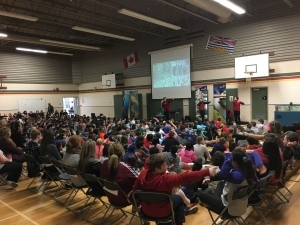 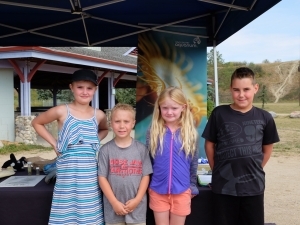 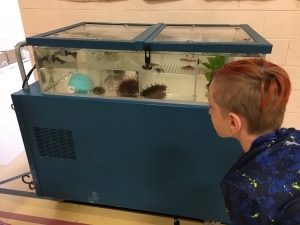 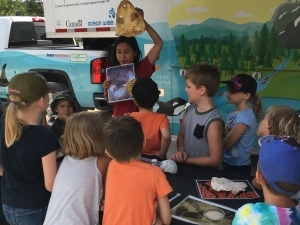 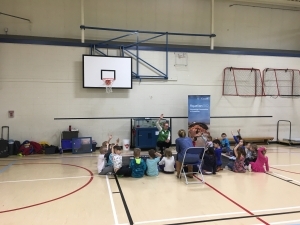 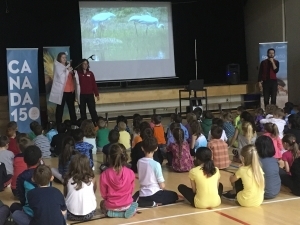 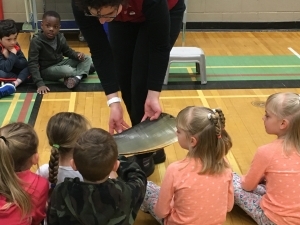 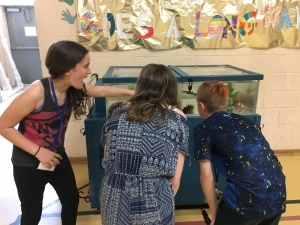 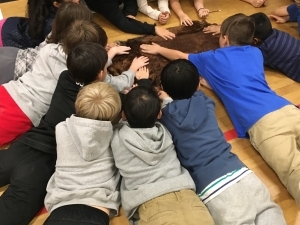 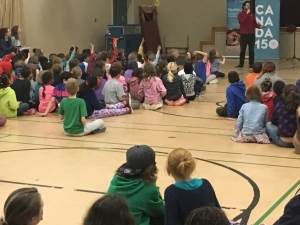 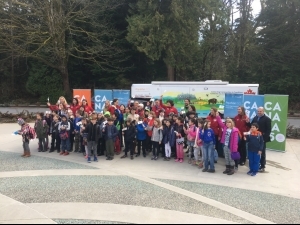 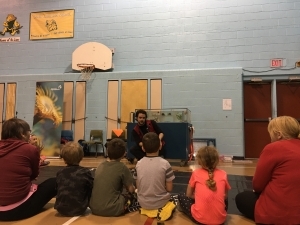 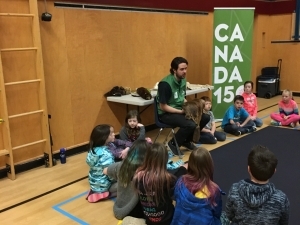 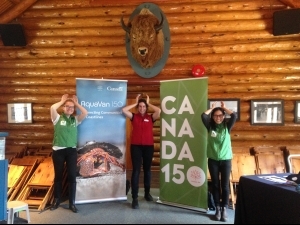 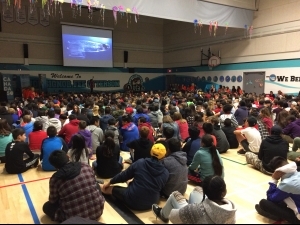 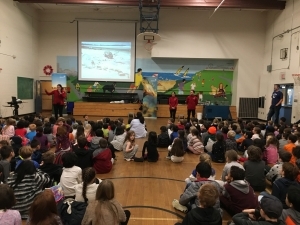 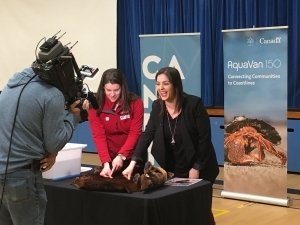 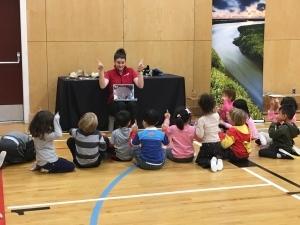 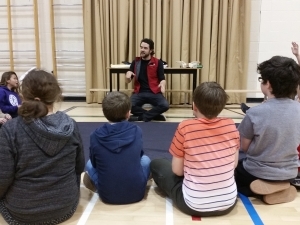 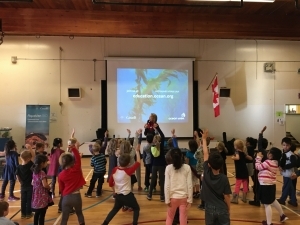 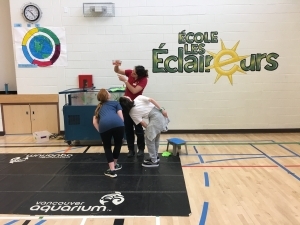 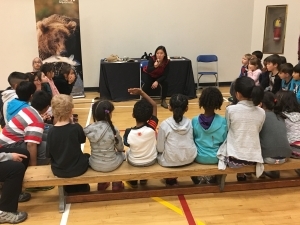 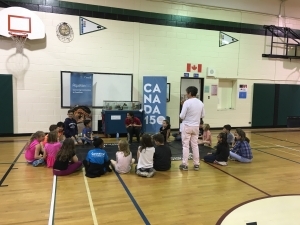 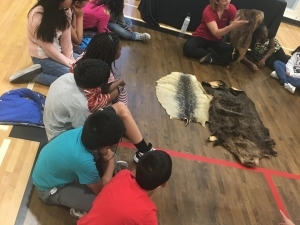 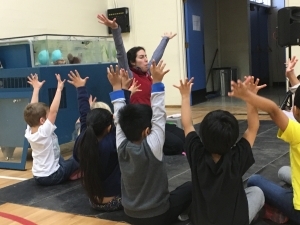 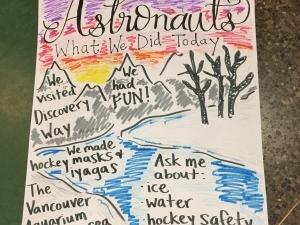 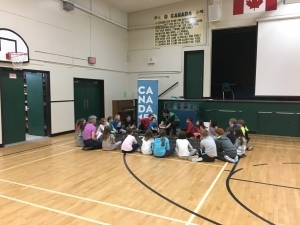 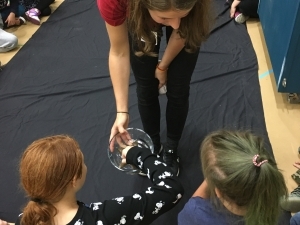 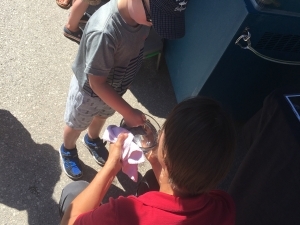 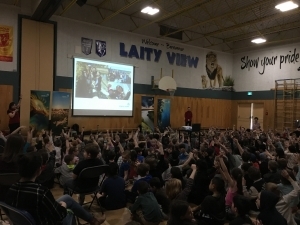 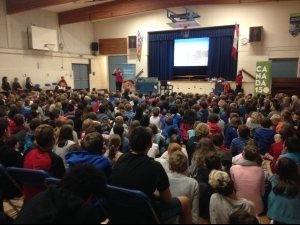 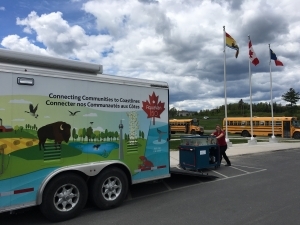 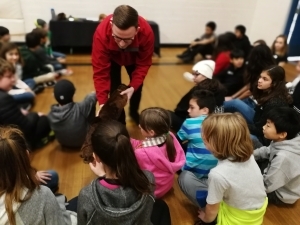 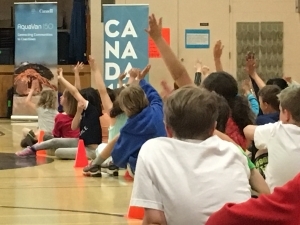 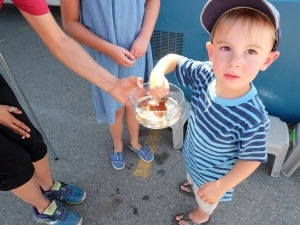 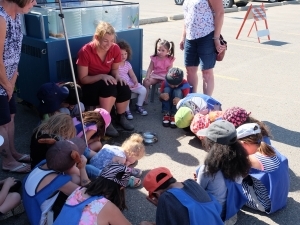 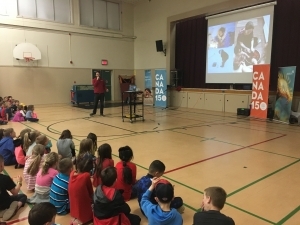 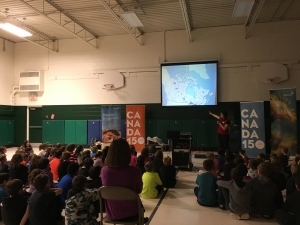 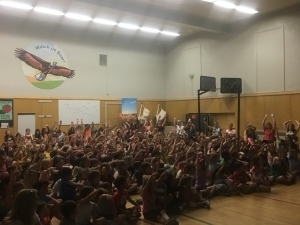 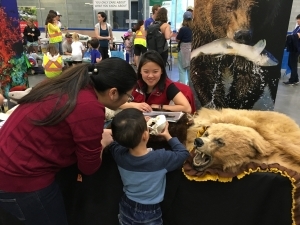 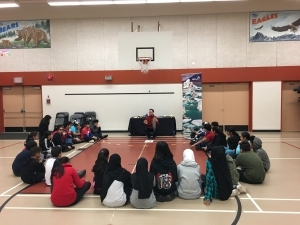 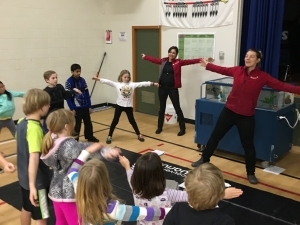 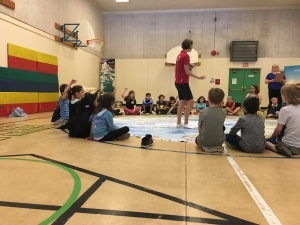 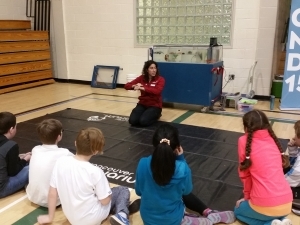 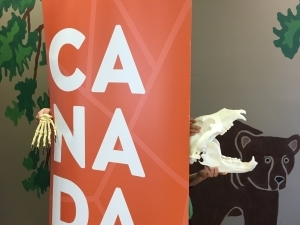 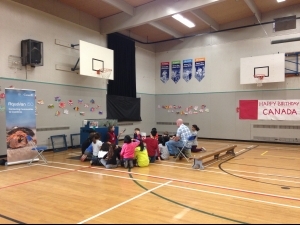 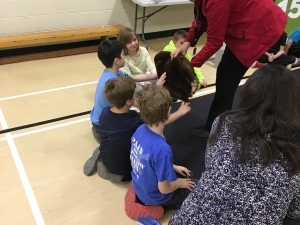 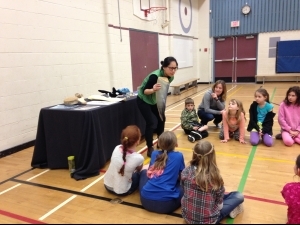 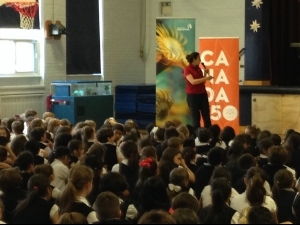 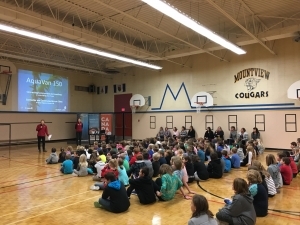 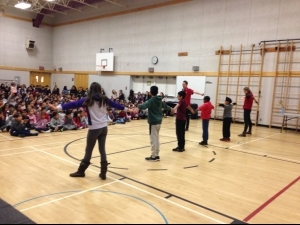 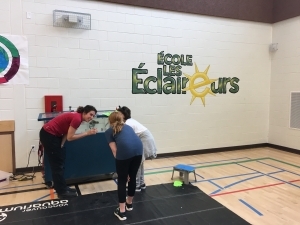 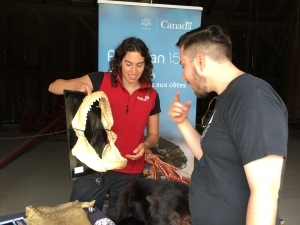 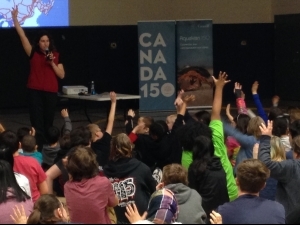 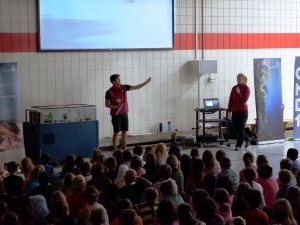 Students at John Norquay Elementary show AquaVan their best grizzly bear impressions! 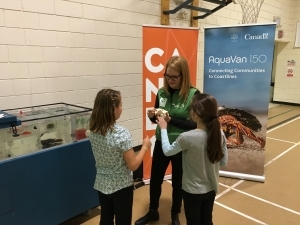 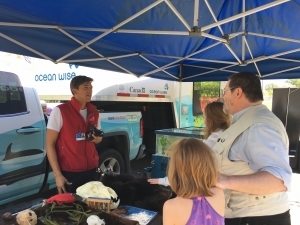 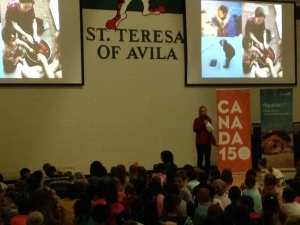 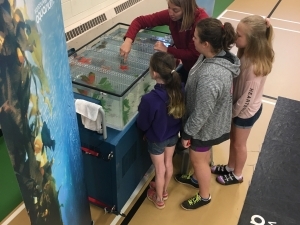 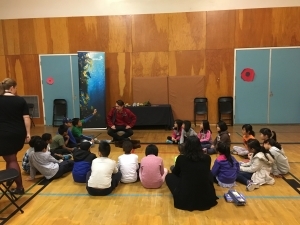 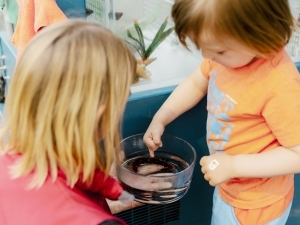 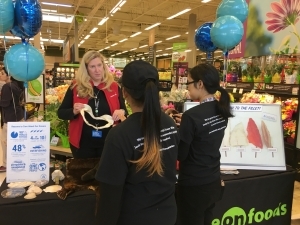 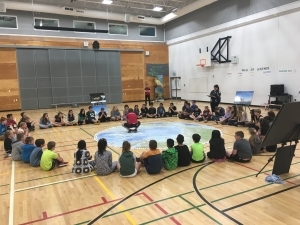 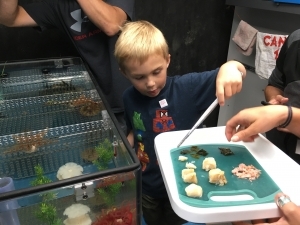 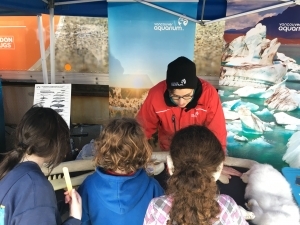 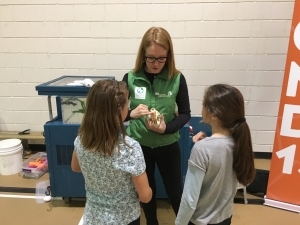 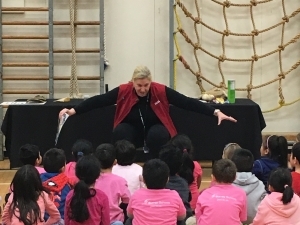 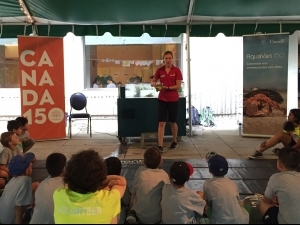 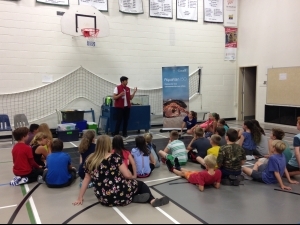 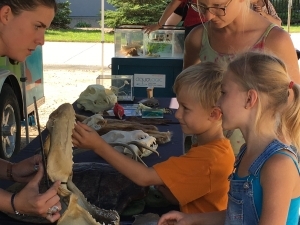 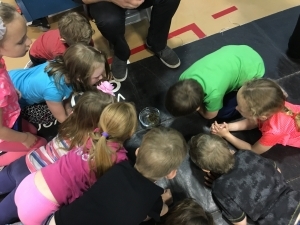 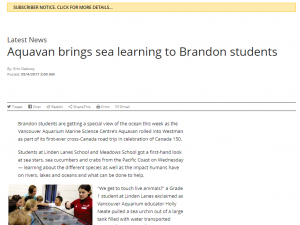 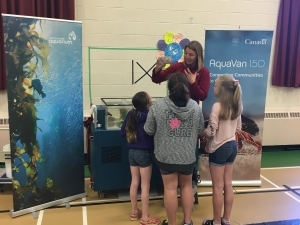 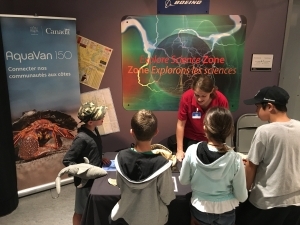 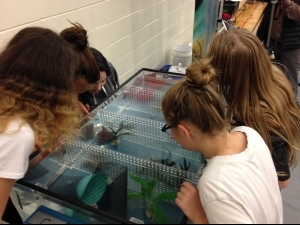 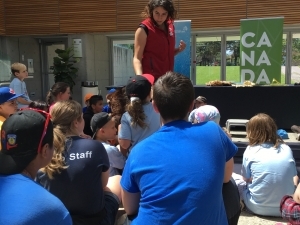 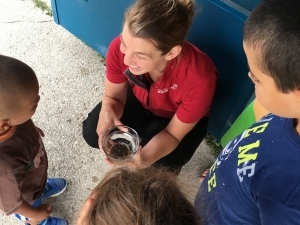 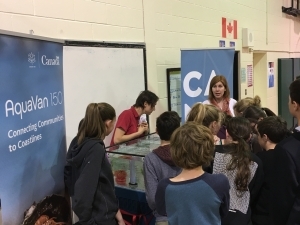 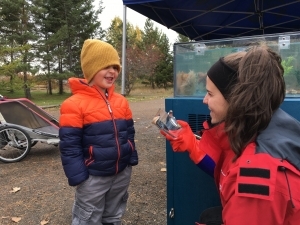 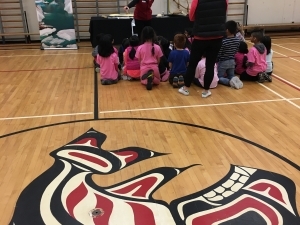 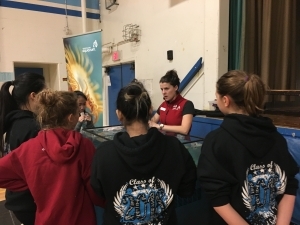 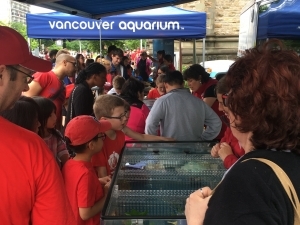 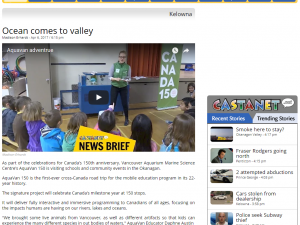 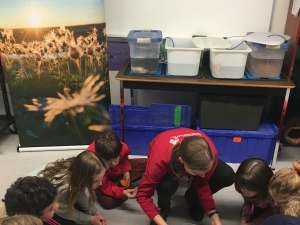 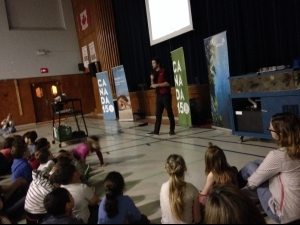 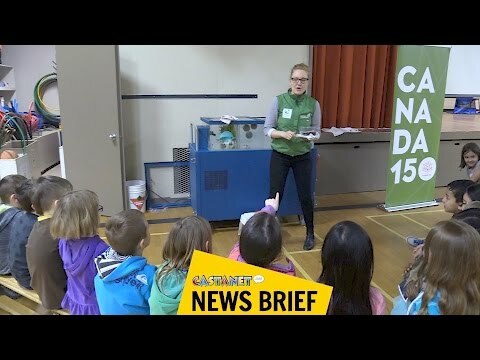 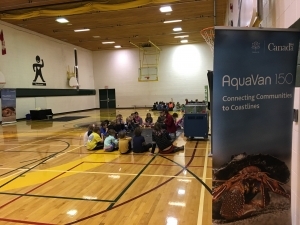 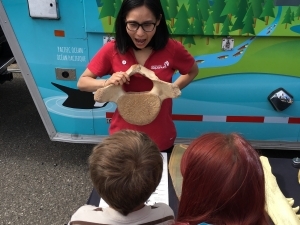 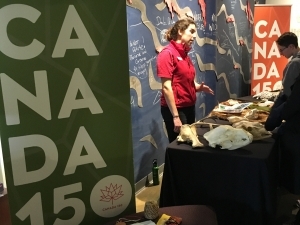 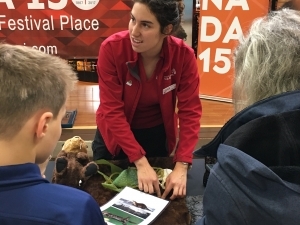 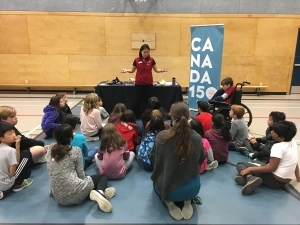 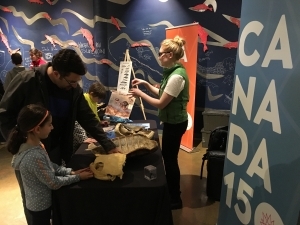 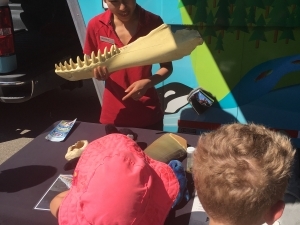 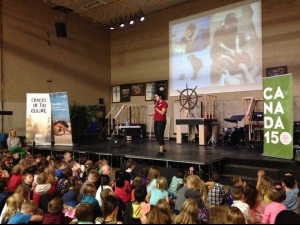 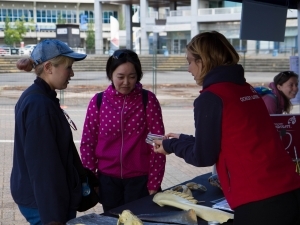 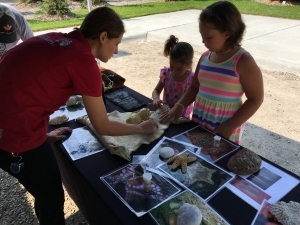 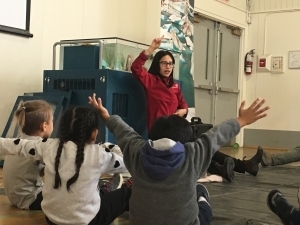 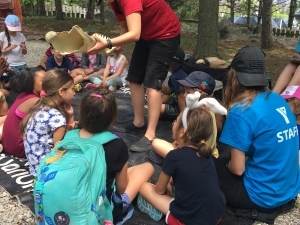 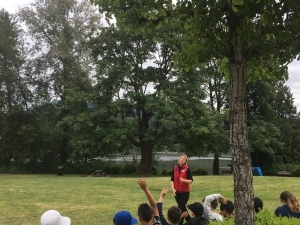 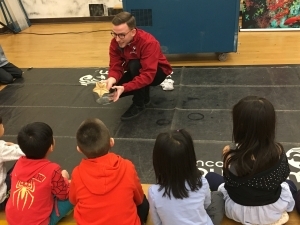 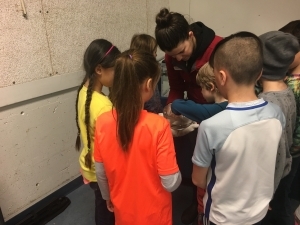 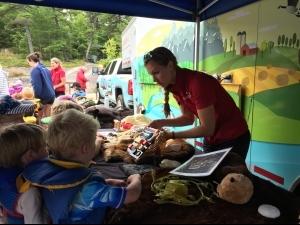 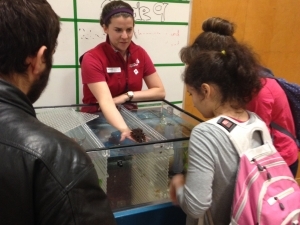 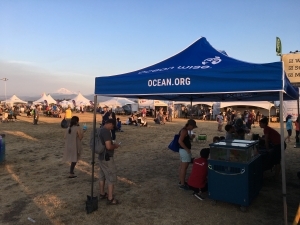 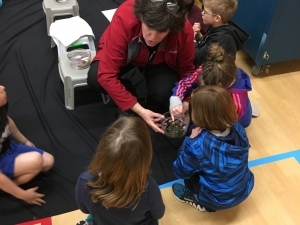 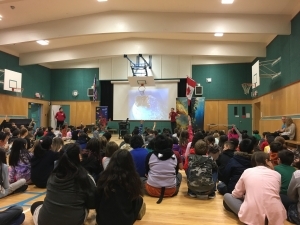 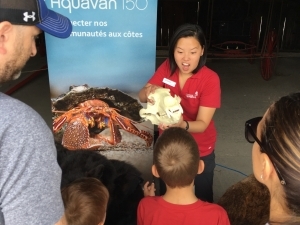 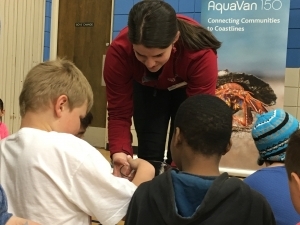 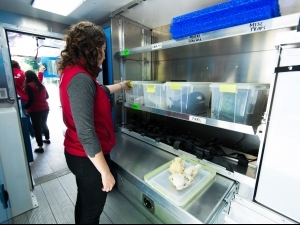 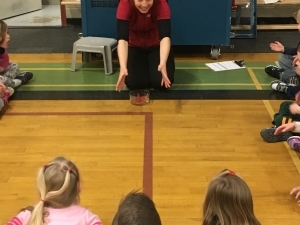 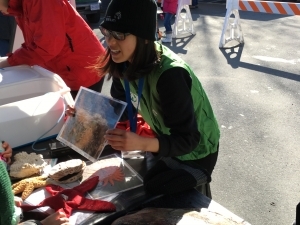 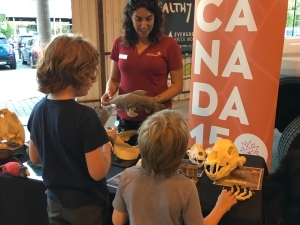 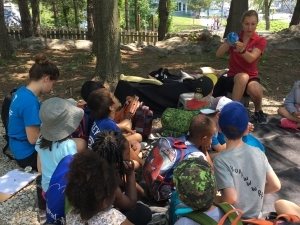 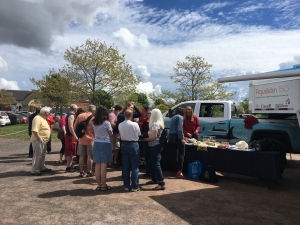 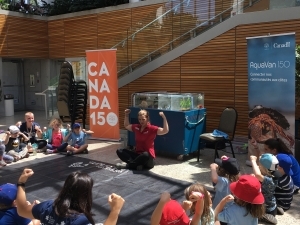 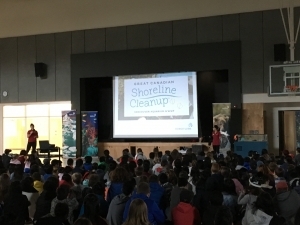 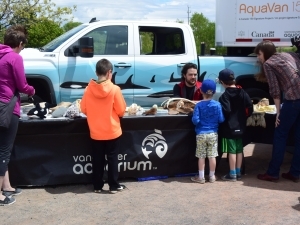 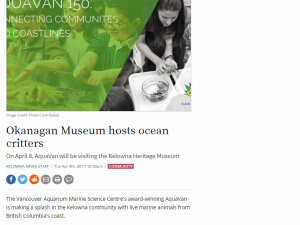 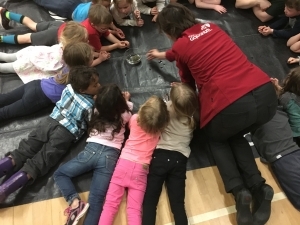 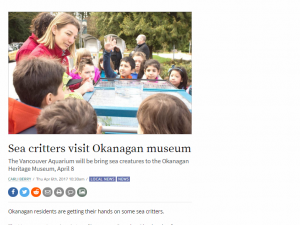 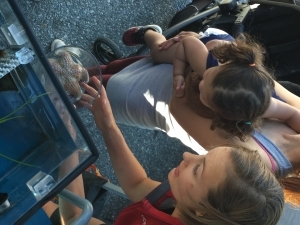 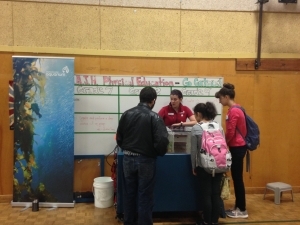 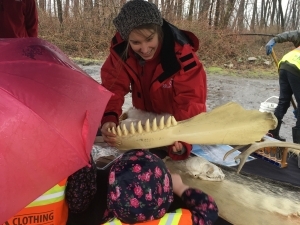 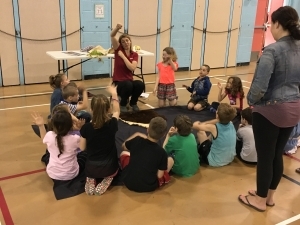 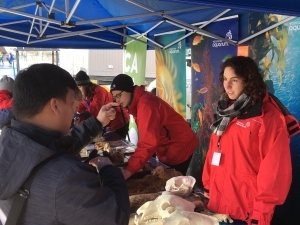 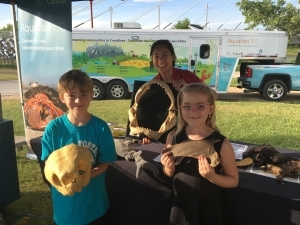 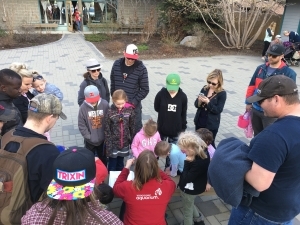 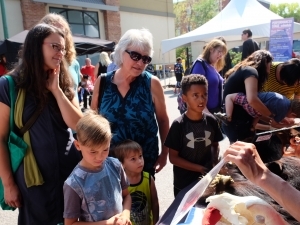 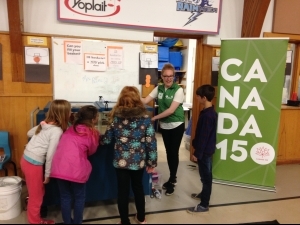 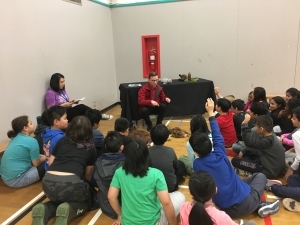 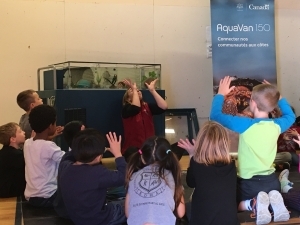 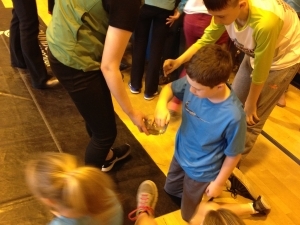 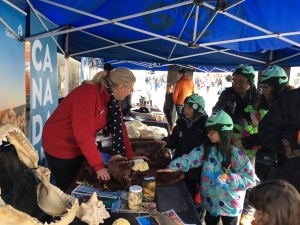 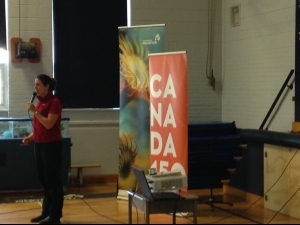 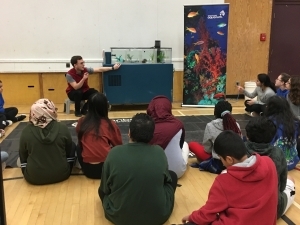 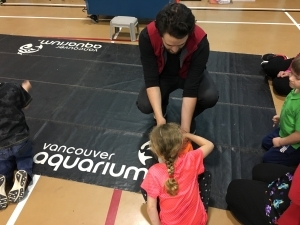 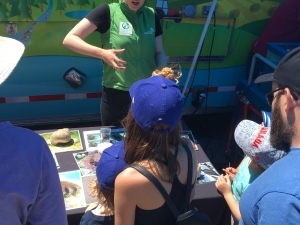 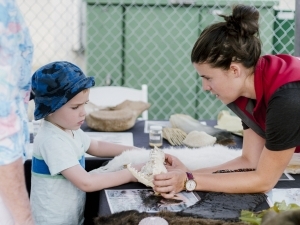 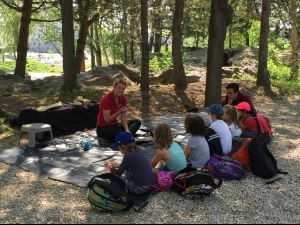 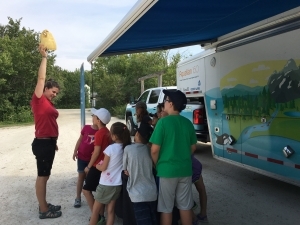 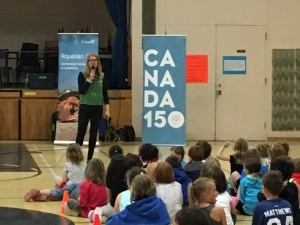 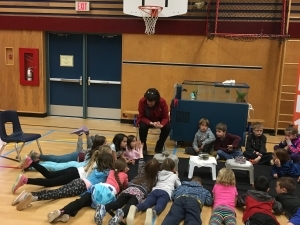 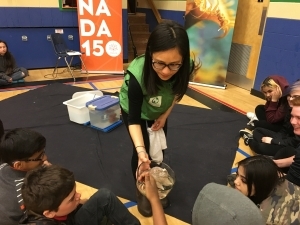 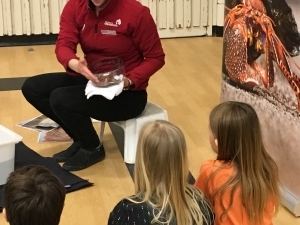 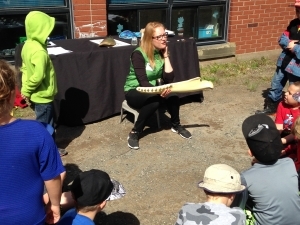 AquaVan 150 team teaching about Sea Otters ... and KELP! 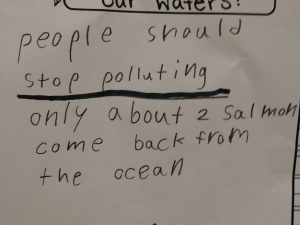 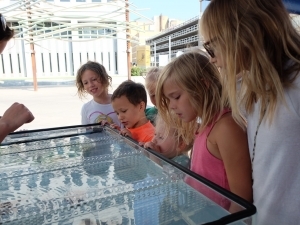 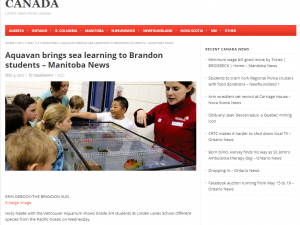 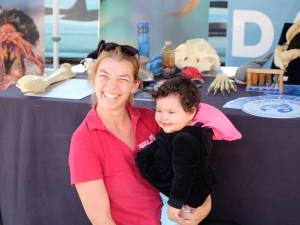 Never too early to inspire stewardship of our oceans! 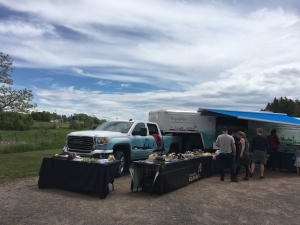 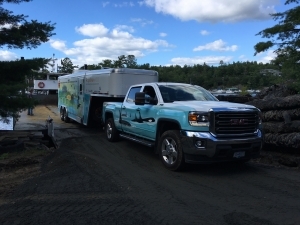 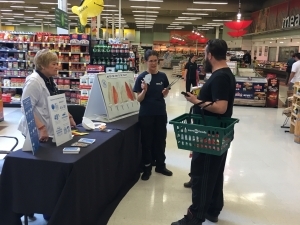 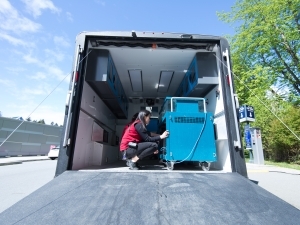 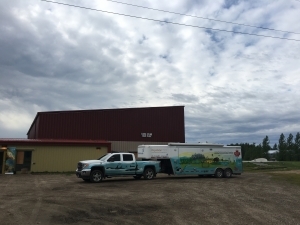 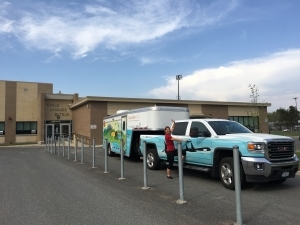 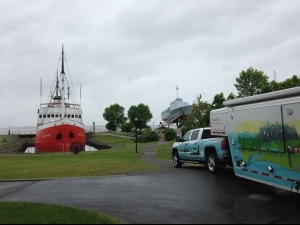 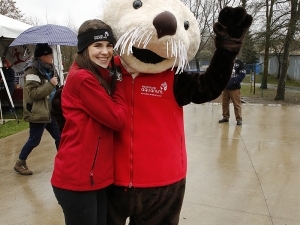 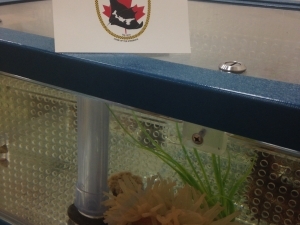 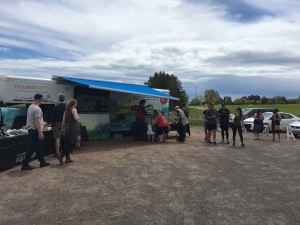 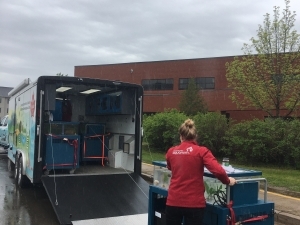 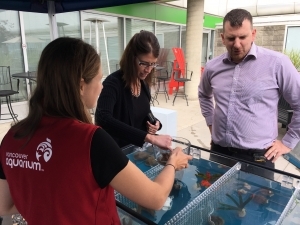 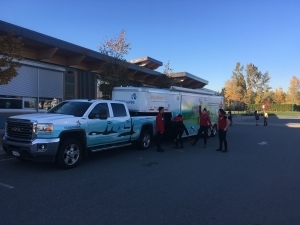 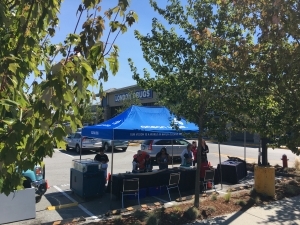 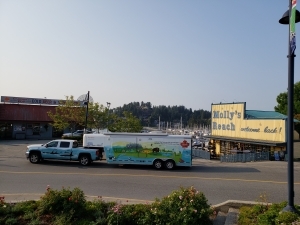 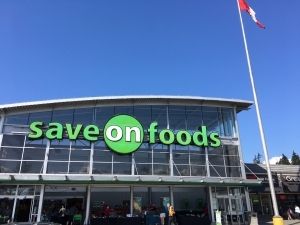 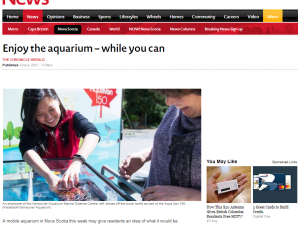 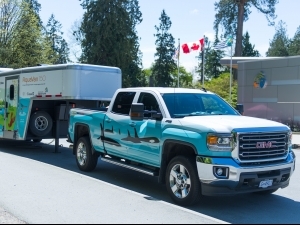 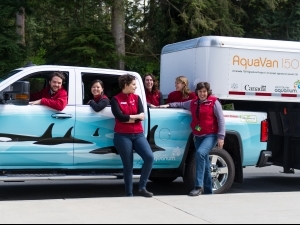 AquaVan visits the newest member of Ocean Wise Seafood - Safeway Corporate Headquarters! 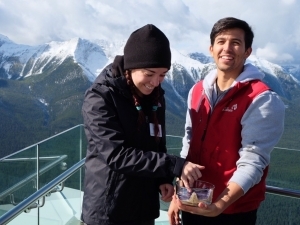 09 23 Banff Gondola Ride for a star! 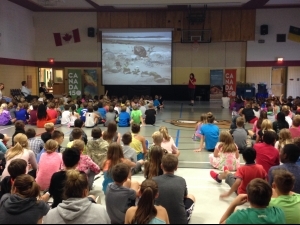 08-15_Fort Whyte How big is that Turtle? 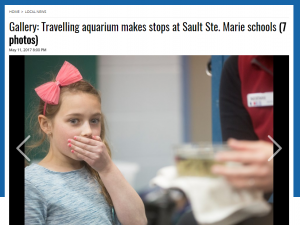 07-29_Sault St Marie Sea Star Feeding actions! 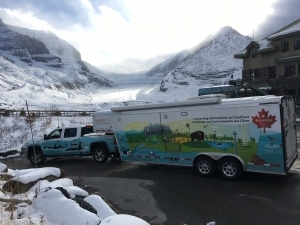 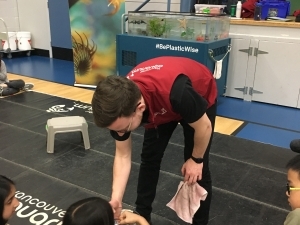 Parks Canada employee, Jeffery, getting his hands wet! 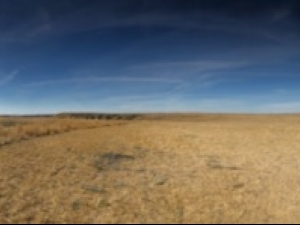 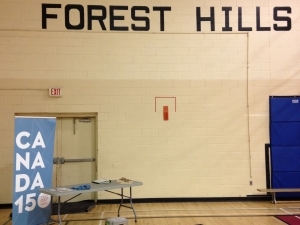 Virtual systems up and running! 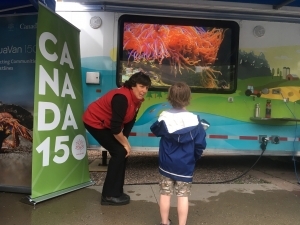 Take a look at the underside of an urchin at Montmorency Falls! 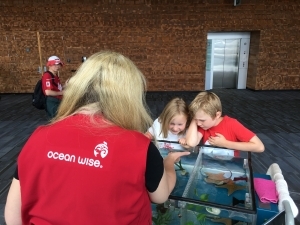 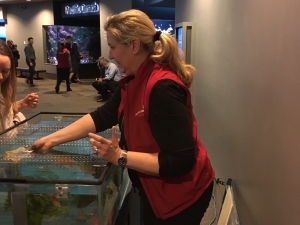 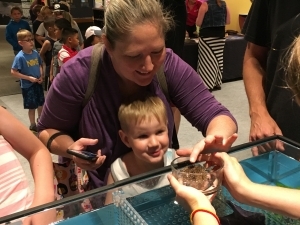 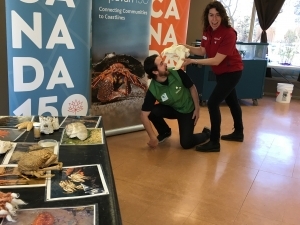 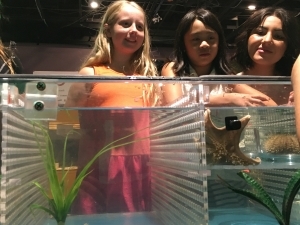 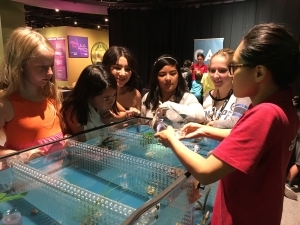 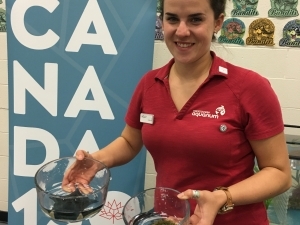 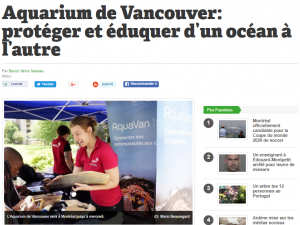 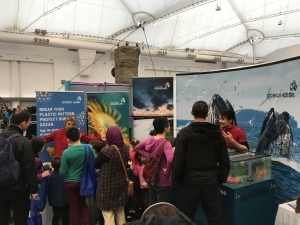 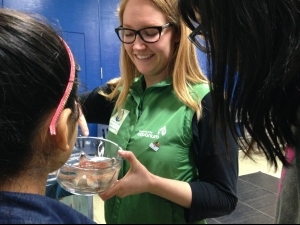 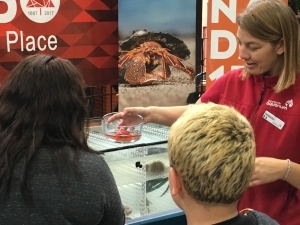 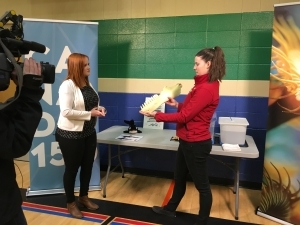 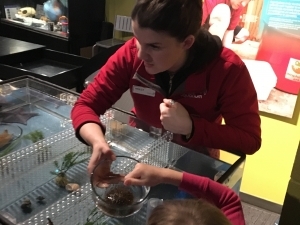 Getting up close with marine life at the Quebec Aquarium! 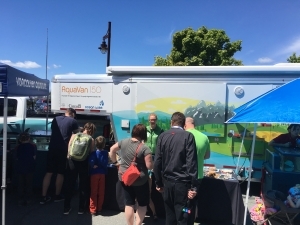 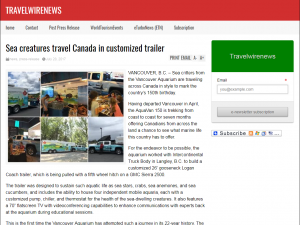 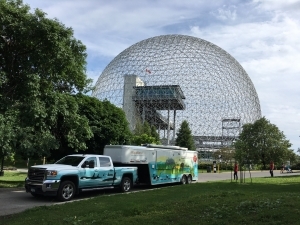 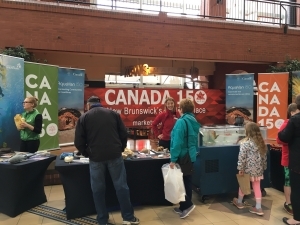 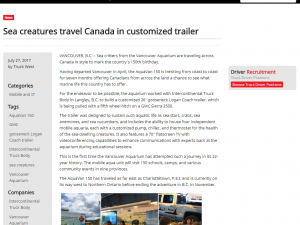 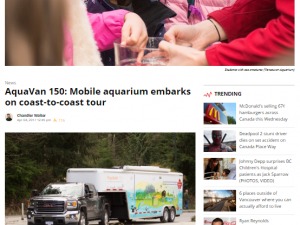 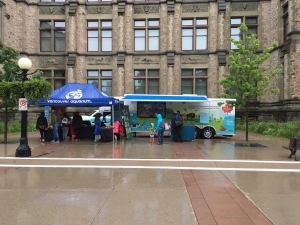 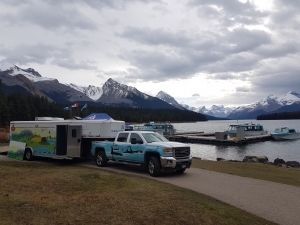 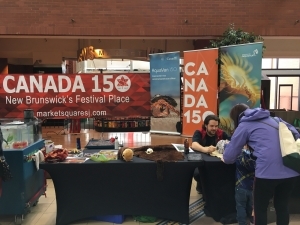 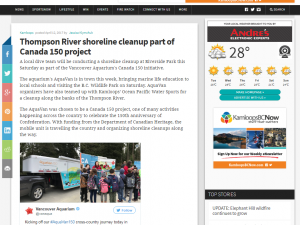 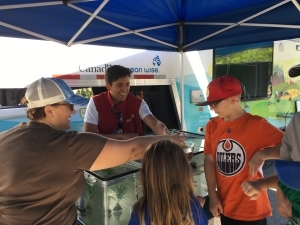 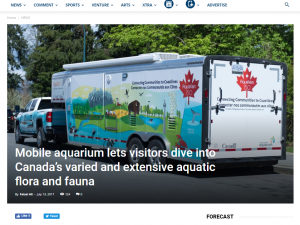 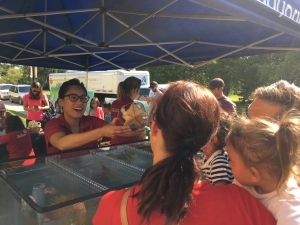 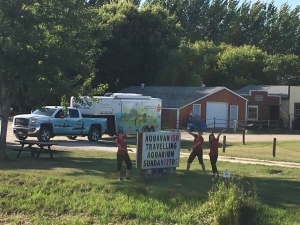 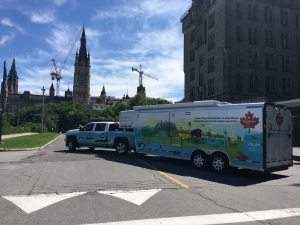 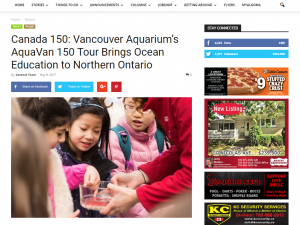 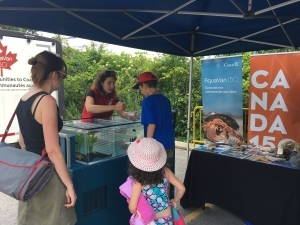 Canada Day with the AquaVan 150! 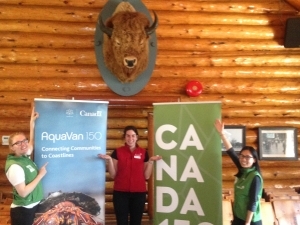 We're ready for community events! 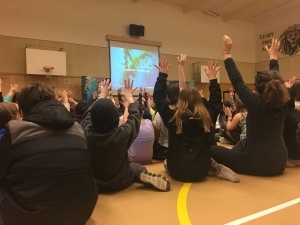 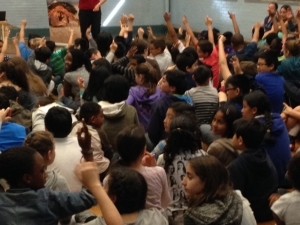 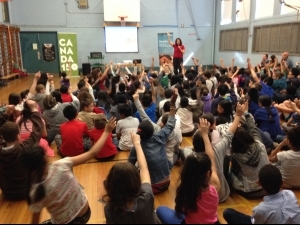 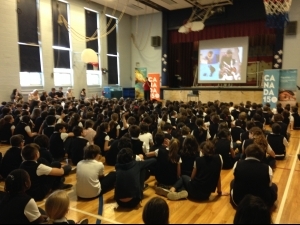 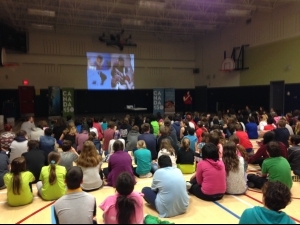 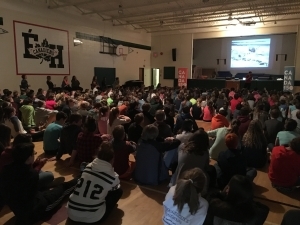 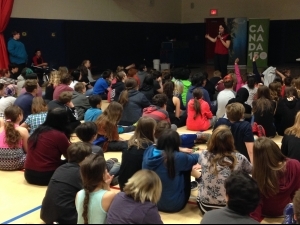 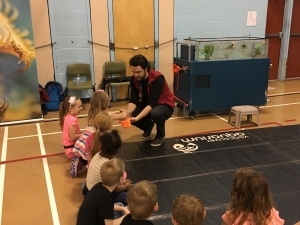 Engaged students at Lloyd George! 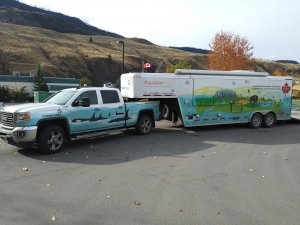 New Orca Wrap for the Truck! 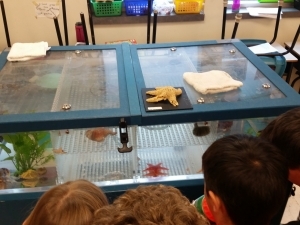 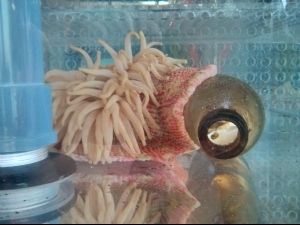 Pinky touch for the seastars! 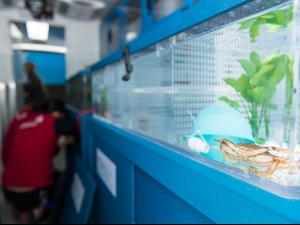 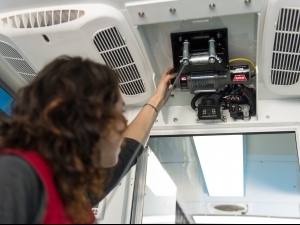 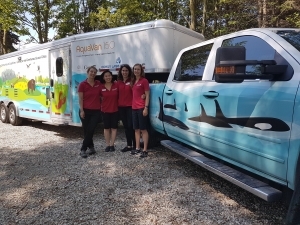 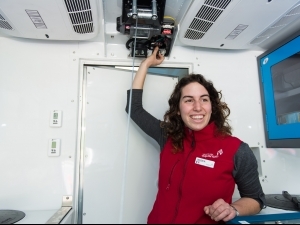 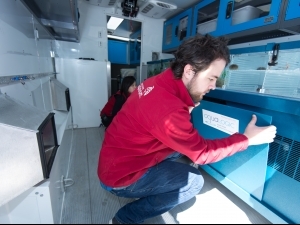 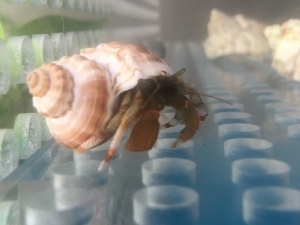 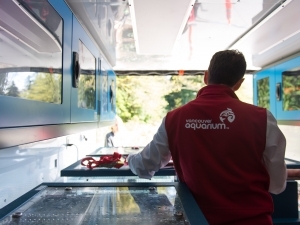 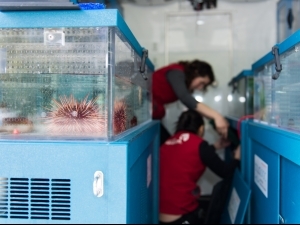 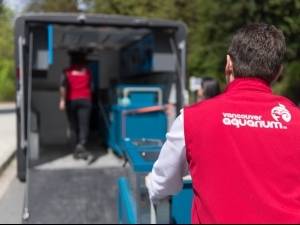 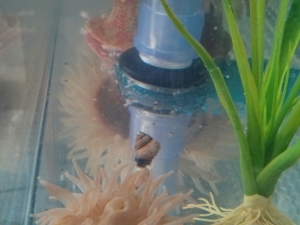 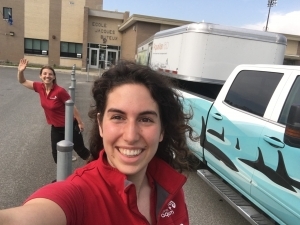 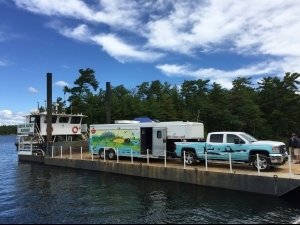 Meet some of the AquaVan Team!